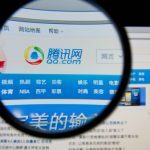 China's Ministry of Culture has published a notice stating that it will further clear the Chinese online music market and shut down irregular and illegal music websites. A representative from the Culture Market Department of the Ministry revealed to the local media that the notice about clearing irregular music websites has been deployed to the various provinces and the task is progressing smoothly. In the notice, 237 irregular music websites in China were listed and one-third of these websites have already been suspended. Under the requirement of the Ministry of Culture, websites listed in the notice should immediately stop Internet cultural activities and delete contents that are against the regulations and laws of China or contents that infringe the copyrights of their legal owners. Websites that pass the examine after rectification can apply for licenses or make registrations in provincial cultural administrations. According to the Ministry of Culture, the deadline for the rectification is January 10, 2011.